Atelier Alain Ellouz invite you to experience the latest lighting collection from the brand currently held at the 19th-century castle Le Château de la Messardière in St Tropez until –August 22nd, 2017. 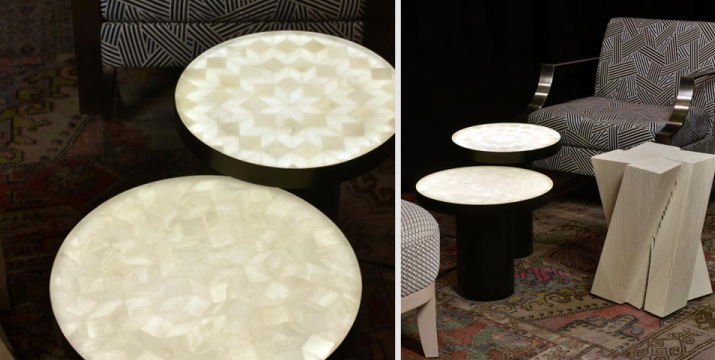 Inspired by the traditional meets contemporary design from Philippe Hurel, the Atelier have partnered up with the stylish French furniture company to display an exhibition of luxury lighting and furniture pieces in a unique environment. 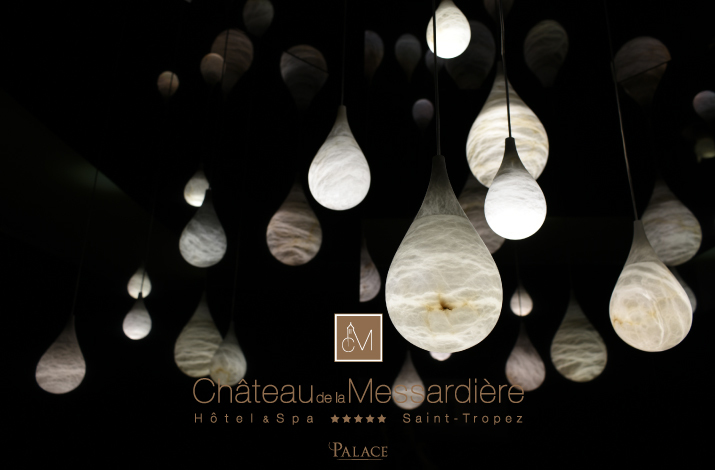 Whilst it is common for Atelier Alain Ellouz to be explored by architects and designers working on grand projects, this exhibition will present a unique opportunity for all guests at the Chateau de la Messardière to see exquisite craftsmanship in new Alabaster and Rock Crystal lighting. Situated in the Chateau’s salon patio on the ground floor, visitors will find captivating objects from Atelier Alain Ellouz’s new lighting collection including the twinkling jewelry inspired chandelier ELYSEE, as well as PRAGUE pendant that emulates falling raindrops and creates an elegant and visually stunning arrangement. Visitors will also immediately be captivated by a mirrored wall filled with EMI lights reminiscent of luminous full moons. 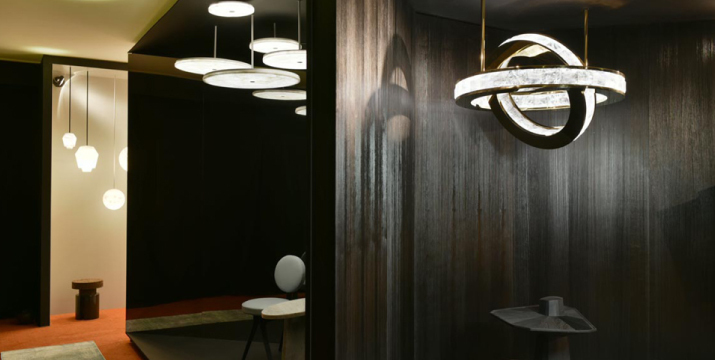 With such a variety of innovative and forward-thinking designs featured in the exhibition, it’s evident Atelier Alain Ellouz are redefining the idea of luxury lighting.